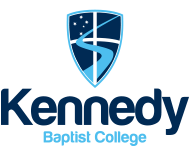 The Specialist Basketball Program at Kennedy Baptist College aims to develop the basketball skills of students to their fullest potential. Students are given a range of opportunities to grow and develop in an environment which caters for their current level and develops individuals to reach the next level in their basketball pathway. The Head Coach of the Kennedy Specialist Basketball Program is current Head Coach of the Perth Lynx and former Perth Wildcats Assistant Coach of five years, Andy Stewart. Andy is assisted by current and past SBL players. The Kennedy Program in its short tenure has had sustained success over the last six years including 2017 and 2018 Senior Girls State Championship, third overall Senior Boys State Championship and 2014 Junior Girls State Championship. As a program we also celebrate the individual achievements of students who have pursued basketball once graduating from the College such as Daniel Grida (2015 alumni) currently playing in the NBL for the Wollongong Hawks and contracted Perth Lynx Development player for the 2018/19 season, Tayah Burrows. Through the Program students may have the opportunity to travel interstate and overseas to represent the College in basketball on tour and at selected competitions. Up to 120 students participate in regular training throughout the year. Students have the opportunity to represent the College in School Sport WA tournaments and the SAS and Junior SAS Interschool Competitions. Program participants train two morning sessions per week from 6.50am to 7.50am at our College Sports Centre. In Years 8 to 10 an elective can also be chosen that complements the morning program and is run during school time with specialist coaches. In Years 11 and 12 the Specialist Program is complemented by Physical Education Studies courses where students have the opportunity to develop their knowledge of the game, coaching skills and other WACE mandated course content. The cost is $450 for a full year. Please note that the cost is additional to the standard fees and charges. If your child withdraws for reasons other than medical, no refund will be issued. Each year during early Term 4, any incoming students who are interested in joining the Kennedy Specialist Basketball Program are invited to attend trials at Kennedy Sports Centre. Please complete the following expression of interest form, if you are interested in the program or like to be informed of future activities.